FF197 is a modified, single component, fire rated polyurethane foam. FF197 is used to seal linear gaps throughout the fire rated areas of a building. Always carry out a test to confirm compatibility prior to use. Protect floor coverings with paper or a plastic film. The surfaces must be dry, solid, stable. Remove all loose particles, dust and grease. A speedier cure can be attained by moistening the substrates if needed. 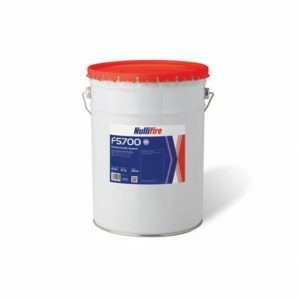 FF177 is a modified, single component, fire rated polyurethane foam. FF177 is used to seal linear gaps. Always carry out a test to confirm compatibility prior to use. Protect floor coverings with paper or a plastic film. The surfaces must be dry, solid, stable and capable of carrying the load of the panels to be installed. Remove all loose particles, dust and grease. A speedier cure can be attained by moistening the substrates if needed. 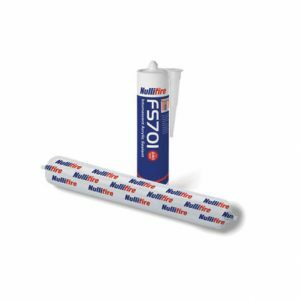 FS703 Silicone Sealant is a single-part alkoxy-based fire resistant, elastomeric, neutral cure silicone sealant. Provides up to 4 hours fire protection at internal and external building gaps and movement joints. 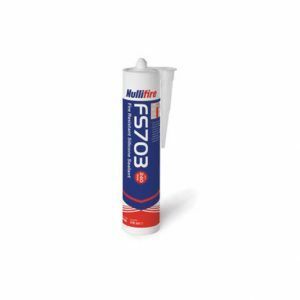 FS703 is designed for sealing joints in compartment walls and floors, Gaps between frames and structures, at junctions of different materials. Clean all surfaces of loose particles, moisture, oils, grease and corrosive materials. Abrade painted or shiny surfaces. Check specification is suitable for movement, fire rating and gap size. 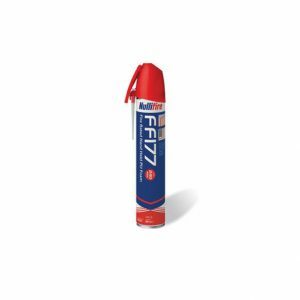 FS701 is a one-part fire resistant joint sealant. FS701 cures to give a firm, but flexible seal in low movement fire rated joints to seal between joints in FB747 FR Coated Batts, substrate to penetration service applications and pointing up of penetration seals. FS701 can achieve up to 4 hours joint fire resistance. Substrates for FS701 include: Masonry to masonry, Masonry to timber, Masonry to steel, FB747 to flexible wall, FB747 to rigid wall, Flexible wall to flexible wall, Flexible wall to rigid floor, Rigid floor to rigid floor and Rigid wall to rigid wall. The FS700 is designed to be used in conjunction with a light weight mineral fibre material to form a fire seal at the junction between floor slab and curtain wall. The intended use of system FS700 is to reinstate the fire resistance performance of gaps in and joints between joints in rigid floor and wall constructions. FS700 provides up to 3 hours of fire protection. FJ200 is elastomeric foam laminated with a graphite based intumescent compound on both sides. 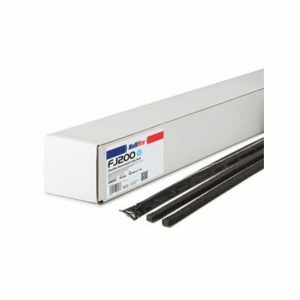 FJ200 can provide up to 2 hours fire protection, acoustic and smoke seal to building gaps and movement joints, whilst offering up to 50% movement. 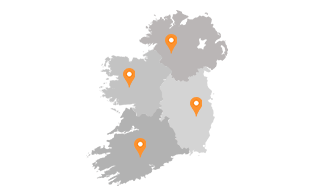 Typical areas of use include health and leisure facilities, schools, universities, retail stores and industrial buildings. Clean all surfaces of loose particles, moisture, oils, and grease including any corrosive materials. Ensure product specification is suitable for movement, fire rating and gap size. FJ200 is unaffected by moisture and can be used in all joints even where moisture is present.